Dr. Volkow’s work has been instrumental in demonstrating that drug addiction is a disease of the human brain. 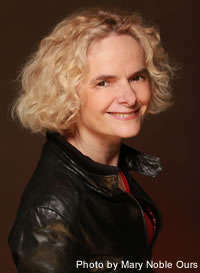 As a research psychiatrist and scientist, Dr. Volkow pioneered the use of brain imaging to investigate the toxic effects and addictive properties of abusable drugs. Her studies have documented changes in the dopamine system affecting, among others, the functions of frontal brain regions involved with motivation, drive, and pleasure in addiction. She has also made important contributions to the neurobiology of obesity, ADHD, and aging. Read more. The brain disease model of addiction is strongly supported by scientific evidence, according to a commentary - “Brain disease model of addiction: why is it so controversial?” , published in The Lancet Psychiatry by NIDA Director Dr. Nora Volkow and NIAAA Director Dr. George Koob.